The AUDL has hundreds of new investors after a crowdfunding campaign. 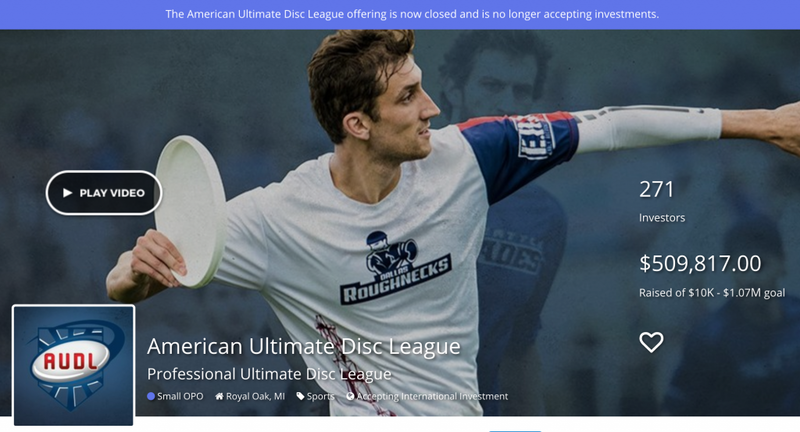 Using a modern twist to fundraising, the American Ultimate Disc League just closed on a crowdfunded Small Open Public Offering yielding $509,817 in new investment. The league easily surpassed their minimum goal of $10,000 but fell well short of their $1.07 million target, the maximum allowed under federal law in a 12-month period. 271 investors on StartEngine.com bought non-voting Series B shares in the AUDL that, similar to Kickstarter, offered perks like free game tickets for different levels of investment. The AUDL has said that they plan to use the money — about $480,000 after Start Engine fees — to invest more in advertising. “Our marketing plan includes paid advertising to increase the pipeline of potential sponsors and advertisers; increased earned media and PR, promotion of ticket sales and merchandise at the AUDL Championship Weekend; development of compelling content on AUDL and team websites; development of a paid subscription service for access to exclusive premium content; increased promotion of merchandise sold through the AUDL Store; funding a co-marketing advertising program with matching funds for local team marketing; fee based services to the teams in the procurement of group ticket sales; and development of email based direct marketing programs,” the company wrote in the offering details. The Series B round, offered at a $16.5 million valuation, follows a Series A $2.5 million investment round from late 2016 at a pre-money $3.75 million valuation. AUDL sources tell Ultiworld that one of the primary draws of the crowdfunding approach is to generate a wider base of investors and get more people involved in the organization. 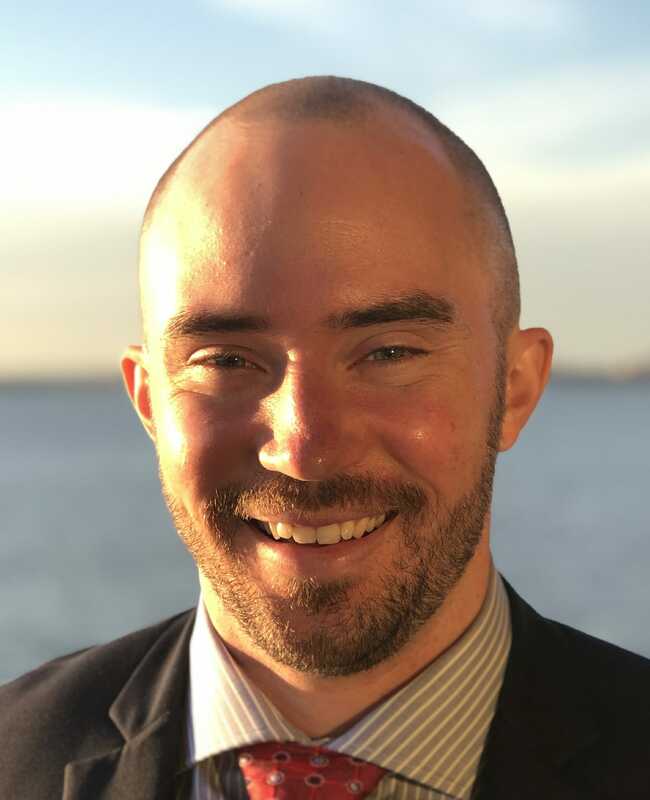 “We’re utilizing a tool that we think fits for where we are in society right now,” said AUDL commissioner Steve Gordon. The AUDL is, like many startups, operating at a loss. According to SEC-mandated disclosures, the AUDL had a net loss of $813,005 in 2017, down 33% from $1,221,578 in 2016.1 2018’s net loss was not reported but is expected to be lower after the league signed a six-figure, two-year broadcast deal with Stadium last winter. Some online saw the AUDL’s decision to crowdfund as a concerning move for a company burning through cash. Gordon said it was “by no means” driven by a need for liquidity and was instead focused on enabling a new, more robust marketing direction. “While some people see it as desperate, there are going to be others who see opportunity here too,” he said. The campaign got a celebrity boost after Bill Nye The Science Guy — a former ultimate player — made an investment (and tweeted about it). The AUDL recently completed its 2018 season as the Madison Radicals took home their first title with a win over the Dallas Roughnecks. Comments on "AUDL Closes Equity Crowdfunding With $500,000 Raise"